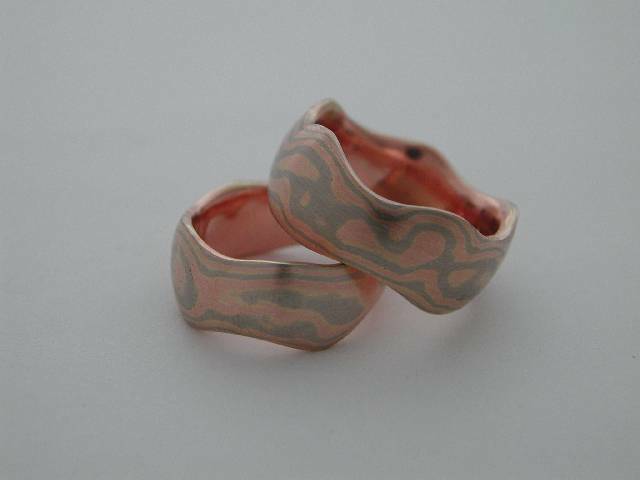 Mokume Gane is an ancient Japanese technique first used in Samurai swords. 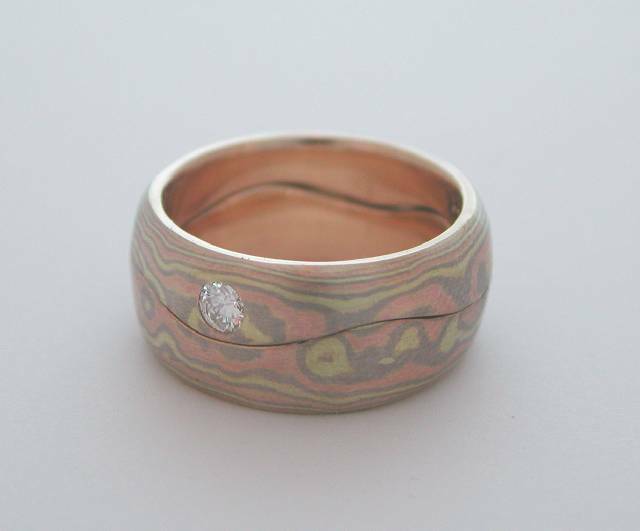 Many contrasting layers of metal are bonded together then punched and filed to reveal a wood grain pattern. Every piece is unique. 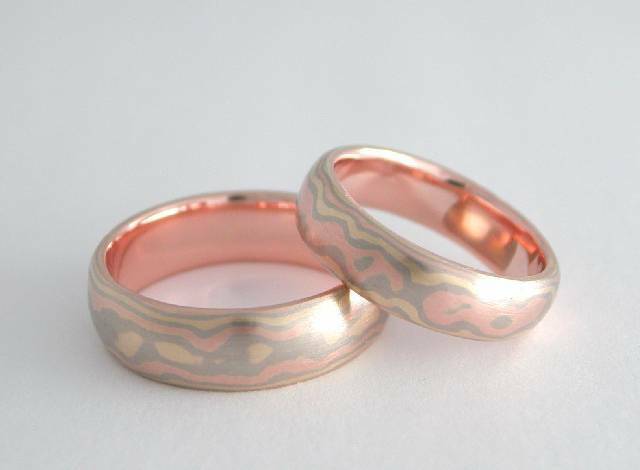 Exquisite eight layer mokume set created in 14 & 18k red, green, and white gold. Solitary brilliant diamond set into 18 layers of 14 & 18k red, yellow, and white gold. 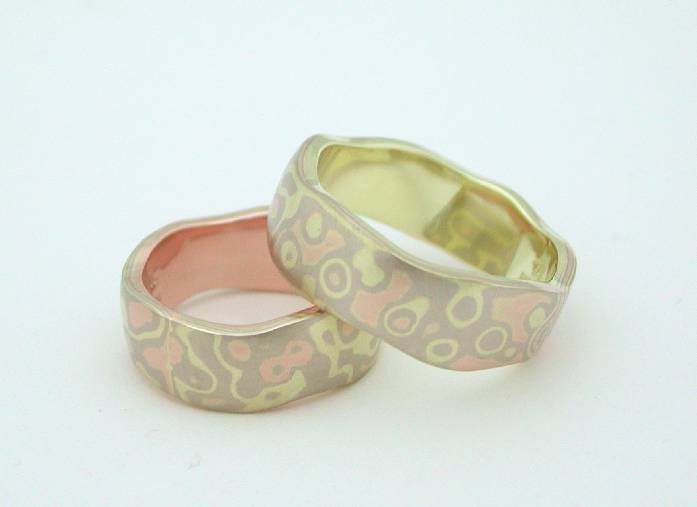 Golden islands among rivers of colour in this wedding set. 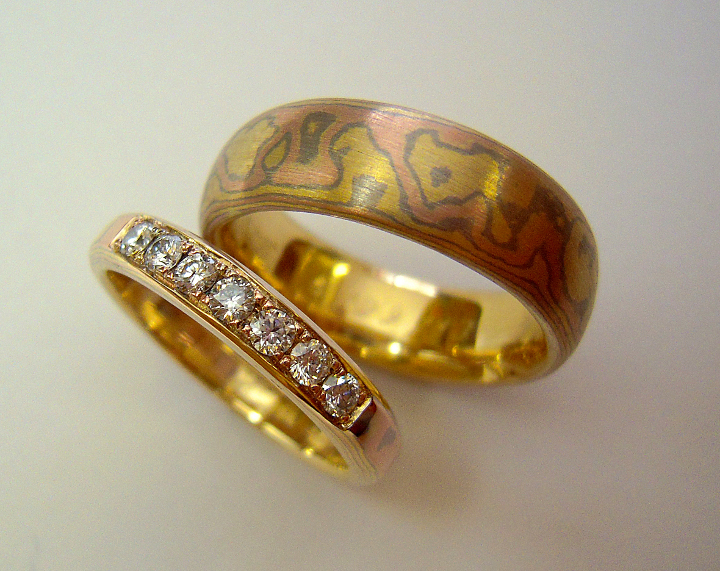 A lovely his and hers matching wedding band set made in 16 layers of 14k and 18k red, yellow, and white gold. Tiny pieces with big impressions. 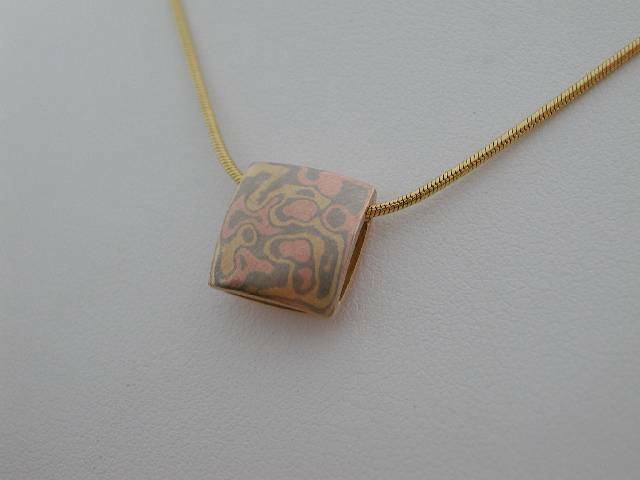 Look at this beautiful 16 layer mokume pendant! 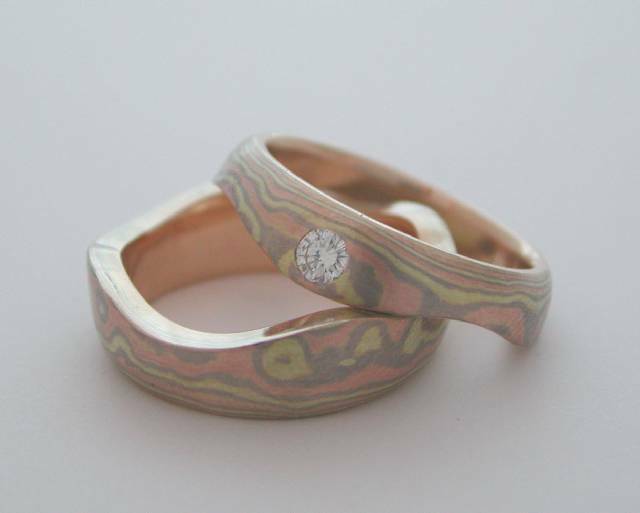 Eight layers of red, yellow, and white gold brought together in this wedding band set.